Monday’s show had the requisite helpings of hard-swinging Jersey backbeat as well as exuberant guitar rock (“Darlington County”), despairing balladry (“The River”) and stories like “Jungleland,” which began as a piano etude and erupted into flourishes of cinematic grandeur. In every case, every single tune, the details were nailed and at the same time, the band sounded fully invested in bringing the songs to life. It didn’t matter if it was a nightly staple or an obscurity – nobody on Springsteen’s stage operates on autopilot. Ever. Flip over your vinyl copy of Born to Run and there’s Clarence Clemons, the Big Man. 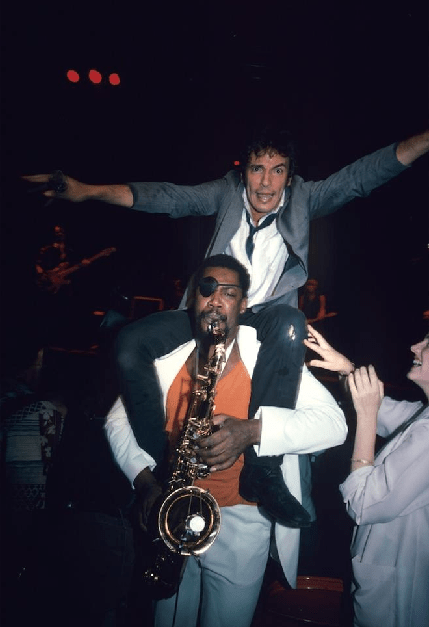 The mighty saxophonist has been a crucial part of Bruce Springsteen’s music ever since joining the E Street Band in 1971. Whether kissing Bruce on the lips or kissing or letting his horn soar on “Bobby Jean” and ”Thunder Road,” Clemons is both the Boss’s loyal lieutenant and custodian of the band’s R&B muse. But now that he’s got his own band – the appropriately named Temple of Soul –  how does he fare as the man in charge? Clemon’s good humor suggests he wont be restructuring his organization anytime soon. And in building the Temple of Soul, he has certainly surrounded himself with great people - eight of them in fact, including two keyboardists and a violinist. With the addition of the four-man Uptown Horns on his new album Live at Asbury Park, it makes for quite a mob onstage. They’re all there to get the party started, he says. Livin Without You,” Jerome is a passionate dude. The Temple makes music that should tickle both jam band fans and soul music buffs. At some points – especially the rowdy curtain-raiser ”Washington Bond” – there’s a distinctly Latin flavor provided by John Colbys piano and Tomas Diaz’s percussive forays.